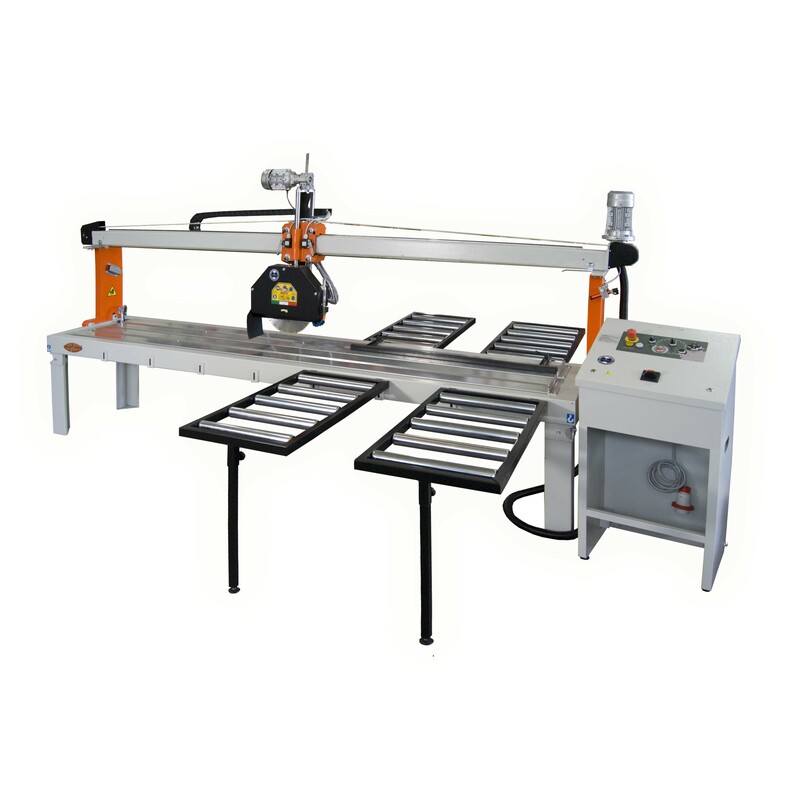 A Mondial Manta bench saw for cutting stone. 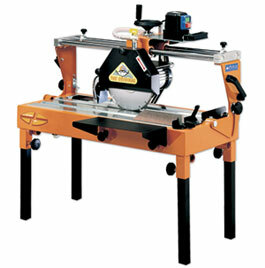 Rugged and inexpensive machine guaranteeing an extremely accurate cutting. The head slides on two chrome-plated and ground bars by means of linear ball-bearings. The machine is equipped with a submersible pump placed inside the base to collect the water cooling the blade. 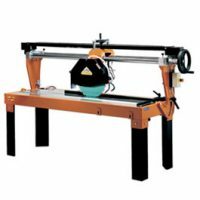 Vertical head motion by means of a handwheel for a fast and stable adjustment. 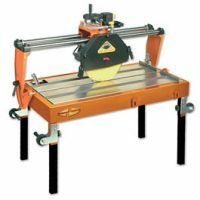 The bench saqw is available in a number of voltage options and blade speed. Tilting head for 45° cuts.